Enjoy the best inspirational, motivational, positive, funny and famous quotes by Arjun Makhijani. Use words and picture quotations to push forward and inspire you keep going in life! Nuclear weapons production and testing has involved extensive health and environmental damage .... One of the most remarkable features of this damage has been the readiness of governments to harm the very people that they claimed they were protecting by building these weapons for national security reasons. In general, this harm was inflicted on people in disregard of democratic norms. 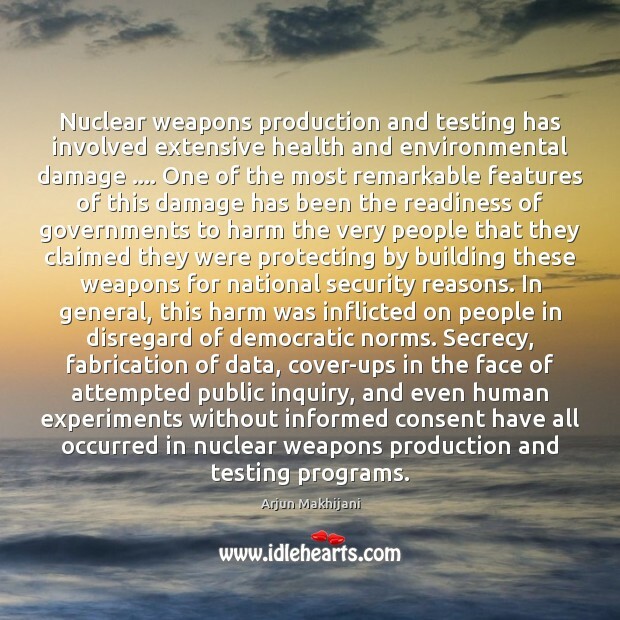 Secrecy, fabrication of data, cover-ups in the face of attempted public inquiry, and even human experiments without informed consent have all occurred in nuclear weapons production and testing programs. 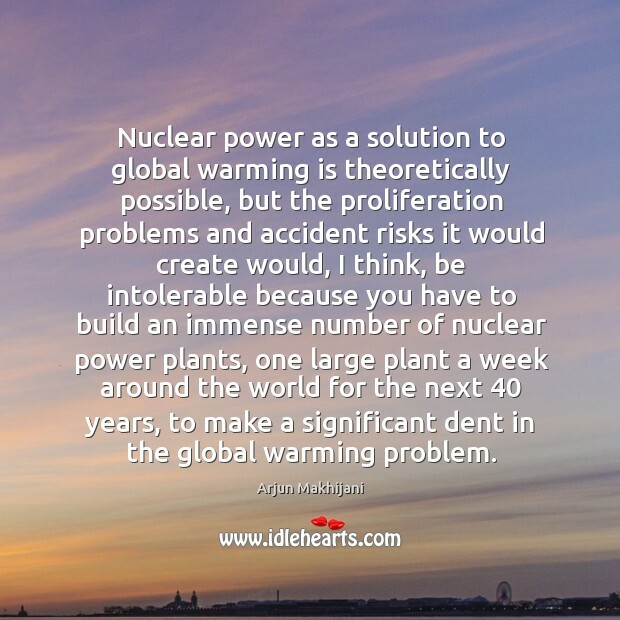 Nuclear power as a solution to global warming is theoretically possible, but the proliferation problems and accident risks it would create would, I think, be intolerable because you have to build an immense number of nuclear power plants, one large plant a week around the world for the next 40 years, to make a significant dent in the global warming problem.